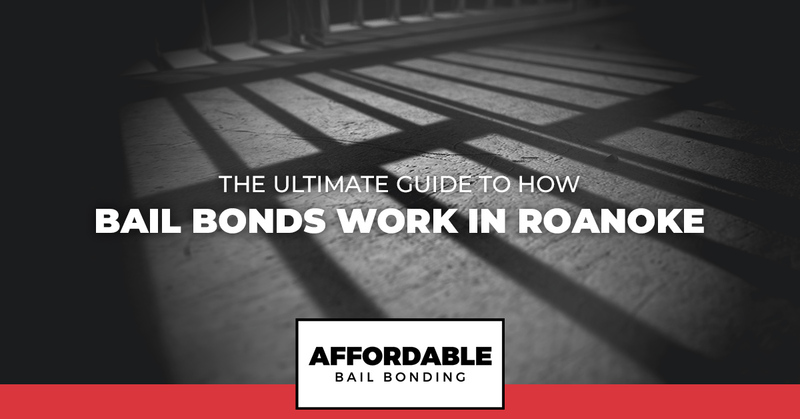 As a Roanoke bail bonding company, Affordable Bail Bonding can help you to understand the process of obtaining a bail bond every step of the way. We will also give you the information you need to make sure that you are able to help should a loved one or family member should find themselves behind bars. Below you can find the most common questions we receive about bail bonds and the answers to those questions as well. What happens when you loved one is arrested and how long does it take for them to be booked? Once someone is arrested, they are then taken to a local or county jail so that they can be booked and processed. They will then be given their booking numbers, bail amounts, and court appearances, as needed. Mug shots will then be taken, as well as fingerprints and Social Security Number are taken and recorded. Law enforcement will then verify if there are any outstanding warrants that are pending for the defendant. This entire process can take anywhere from 2 to 24 hours. After being booked, is the defendant given bail options? Yes. As previously mentioned, the court will set a bond amount that may include cash bail or a surety bail. When we talk about cash bail, we are simply talking about the money that must be brought to the jail. It is important to note that a bail bondsman cannot help you with a cash only bond. On the other hand, if you are given a surety bond, you can enlist the help of a bail bondsman. What is the typical cost of a bail bond? While the percentage of bail that needs to be paid to a bail bondsman varies by state, we only require that those who use our services at Affordable Bail Bonding, pay 10 percent of the total bail amount to us before we can help you to get a friend or family member out of jail. What does a bail bond cosigner need? In order for you to be a cosigner on a bail bond, there are a couple of things that you need. The first is a valid government issued driver’s license. The second is that you need to have proof that you are a U.S. citizenship and be at least 18 years old. Cosigners also have to provide a current paycheck stub and be able to show proof that they are employed full-time and that they have been at their current job for two years or longer. How long does paperwork processing take and how can payments be made? Once we have everything we need from you, the process will not take very long at all. We work hard to get all of the steps completed in no time at all so that your friend or family member can be released from the jail as soon as possible. Payments can be made in a number of ways including in cash, credit card, check, and money order. If you need help with the bail bond process when someone you cared about is behind bars in Roanoke, please contact us today! We would be so happy to help you right now!